Don't panic - there's enough fuel | What Car? The Government is urging motorists not to panic-buy fuel after a walk-out by Shell delivery drivers began today - but what will happen if supplies do run low? Shell accounts for about one in every 10 fuel stations in the UK, but both Shell and the Government have conceded that some could run out of fuel over teh four-day strike. The stations most likely to be affected are those on the busiest and remotest routes, such as at motorway service stations far from towns. In built-up areas, consumers will have access to fuel stations owned by rival companies, ensuring that demand is spread more widely, but raising the possibility of profiteering if supplies do run short. Already, however, a number of contingency plans are in place to minimise any disruption. These includes the lifting of some competition laws to allow companies to share information in order to get fuel to where it's needed in the event of a strike. If the shortages become serious, the Government can invoke several emergency measures. These include restricting the amount of fuel that retail customers can buy and prioritising supplies to ensure that emergency services and key utility companies have enough supplies. Meanwhile, the strikers have announced that they will strike for another four days next week if their pay demands are not met. 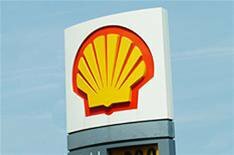 The next strike is scheduled to begin at 6am on Friday, June 20, and rumours suggest more drivers directly contracted to Shell will join the picket lines.